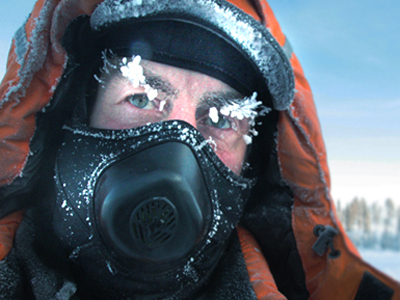 Let's start with one of the biggest name of the polar world, Sir Ranulph Fiennes. After his famous 1992/1993 Unsupported Antarctic Continent Expedition, SR Fiennes is back to Antarctica. This winter, the famous explorer plans to try a complete traverse of the Antarctic -accompanied by nine other people. Scheduled for departure on 21 Mars, the team will leave the russian base of Novolazarevskaia to start the crossing until SP - approximately 2220 kil away. Note that the team is arriving at Novo around mid december and will stay in the neighbourhood until the departure, three months later -time to settle all the equipment and logistics, and also time to get used to the harsch weather conditions. After the South Pole, Fiennes plans to reach Ross Island crossing the Ross Ice Shelf, reaching US base McMurdo and then proceeding to Ross Island. Expedition plans to reach the end of the voyage six months after their start at Novo. This travel will be composed by a convoy. Here is how the press dossier describes the convoy : A two-man ski unit will lead the traverse, while the rest of the team follows closely behind in a Mobile Vehicle Landtrain (MVL). The MVL will be made up of two Caterpillar® D6N track-type tractors which will pull two specially developed cabooses for scientific work, accommodation and storage, including fuel designed not to freeze. Like always, there are a strong education part and a scientific part attached to the adventure. Nearly half of all round-trip expeditions to the South Pole fail. A one-way ski trek from the coast to the pole is challenging, let alone the round-trip. Antarctic Logistics and Expeditions (ALE) said, “Between 2004 and 2010, 116 skiers completed ‘all-the-way’ [1-way] ski expeditions to the South Pole and 25 people failed to complete their journey, a failure rate of nearly 22%.” These expeditions only attempted half of the distance Linsdau hopes to conquer. Between mid-December 2012 and mid-March 2013, Alex Hibbert and Justin Miles will each haul over 400kg the length of the Nares Strait, make a depots up there, and then return unsupported. The purpose is to prepare depots for a subsequent phase with the uiltimate goal of reaching the North Pole unsupported in winter. The Pole has also never been reached from Greenland - the final main route as yet untravelled. This first part of the project will cover up to 900 miles over fractured and mobile sea ice between the cliffs and glaciers of Ellesmere Island and North-West Greenland. The pair will set out from Qaanaaq and travel north to the edge of the Arctic Ocean, before returning. The sea ice through these narrow straits is amongst the most dynamic and technically demanding in the world. Later next year, in the winter of 2013/14, the team will return and make their unsupported winter attempt on the North Pole, hauling up to 1 900 miles over seven months. From their Press dossier : The big goal of the year is to cross the sub antarctic island of South Georgia on skis. Among waddling penguins and sharp peaks, we these three women will be away for a month. Katabatic winds, steep and difficult terrains, and difficult logistics will challenge them, and they are more than ready for this exciting task! They will also get to experience the varied and dramatic scenery, and an abundant wildlife. This adventue has started already (They arrived in South Georgia on 20 October). The BBabes are on the field now. Follow them on facebook here. Young Edinburg University student Kasim Rafiq (22) plans to attempt to become the youngest Briton to reach the South Pole with no outside help, by manhauling 120kg of equipment and food over 730 miles. Like R. Parks, he is on the classical trek Hercules -> SP. After having achieved (on 12 JUly 2011) a pioneering 7 months race against time to climb the 7 summits (highest mountains on each continent) and venture to both South and North Poles (737 Challenge), Richard Parks plans to do the classsical trek Hercules Inlet - South Pole. Besides these seven expeditions Explorapoles is going to follow closely throughout their progression, there are some other ones we would like to mention. Speed ski record holder (2006) Hannah McKeand who will be leading two men from the coast (Ronne-Filchner Ice Shelf/Messner Start) to the South Pole. Austrian adventurer Christoph Höbenreich who will be climbing (and filming) in Queen Maud Land zone before leading an international Last Degree ski team to the South Pole. Mike O'Shea and Clare O'Leary and Canadian Bill Hanlon. They are onto the North Patagonian Ice Cap with Norwegian guide, Bengt Rotmo. Let's recall that this ice cap is the 5th Largest in the world and has only ever been crossed by few people. Avanaa (North Greenland) is also a Greenlandic reconnaissance boat expedition. It does not have a plot or pre-approved scenario. From the Heart of the Arctic, Uummannaq, they will sail towards Siorapaluk, Etah, and further North. On their way, they will observe and document the changes in ecosystem, and life in general. Their objective : make sure that the voices of northernmost people and animals inhabiting Avannaa are heard. A fantastic 9 000 km voyage across the entire Siberia using kayak, skis and kites planned by dutch adventurer Yuri Klaver. He started last september from the harbour of Provydeniya. But due to a combination of equipment failure and strict rules of the Russian Border Patrol, Klaver was forced to go back to where he started. Yuri : "Being very late in the season already, I decided to abort the expedition. I am very excited to go for a second attempt in June 2013, very likely starting in Nome to avoid Russian stone-age bureaucracy. ..."
The project 'Access Water' set up by famous female explorers Ann Bancroft and Liv Arnesen. Here some excerpts from their Press declaration : "At the end of August, Ann and I made a difficult decision. Although we had several partners on board with a verbal “yes” to our project Access Water, the time for securing flights and other logistical aspects of this huge project were closing in. Simply getting to the South Pole with our wonderful team was only the vehicle for the vision we held for the project. Reaching 50 million young people around the globe on the issues of fresh water is what drives us to the ice again. Postponing the expedition a year, allows us to build all that we dreamed with partners in corporations, NGO’s and educational organizations etc."